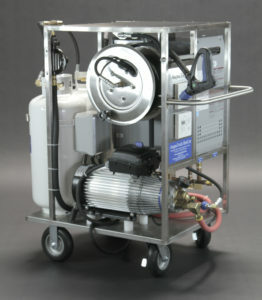 The Attix 19AE Flood Sucker separates solids and liquids, has 3 operating modes, includes a power regulator, and features a solid stainless steel construction. It also comes with a heavy-duty trolley for wheeling it into different locations with ease. 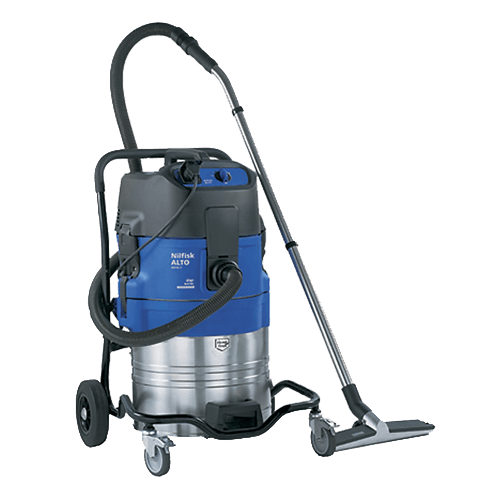 Unlike most flood vacuums, which leave around an inch of water after cleaning, the Nilfisk Attix 19AE leaves a dry surface behind after cleaning up the mess. 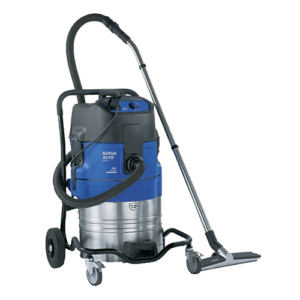 Take care of commercial flooding and water damage issues with the Nilfisk Attix 19AE Flood Sucker. Top Quality Features at Affordable Price: Standard features include solid and liquid separation, an onboard power outlet, and adjustable suction control, which make it a great choice for both flood restoration and contract work. Powerful Pump: The sump pump expels water through a 25-foot up to 30 feet vertically and 150 feet horizontally.